In honesty, this is not so much a storage-related post as an isn't-this-lovely-and-charming idea. 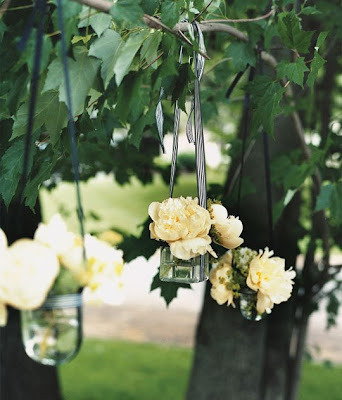 Simple, elegant, perfect in the back yard or for a wedding. I was going to say, it looks just like one of the MarthaStewart wedding ideas. Very pretty.